When it comes to music, Apple Music and Taylor Swift are inevitable topics to talk about. Not even a year, the attitude of Taylor Swift towards Apple Music shifts form vocal fighting to ad supporting. As a saying goes, there is no everlasting friend, no everlasting enemy, there is only everlasting interest! Here the article will review the relationship between Taylor Swift and Apple Music and help you enjoy top 4 popular songs of Taylor Swift on Apple Music. Let's start from the latest Apple Music commercial featured by Taylor Swift. On April 18, 2016, Taylor Swift and Apple Music have launched one-minute advertisement on Twitter promoting Apple's $9.99 streaming music service, featuring song 'The Middle' by Jimmy Eat World. This is followed the commercial from Swift and Apple Music two weeks ago, showing Swift rapping to a Drake song while running on a treadmill. Just reviewing last year, you will find that Taylor Swift veered so sharply. 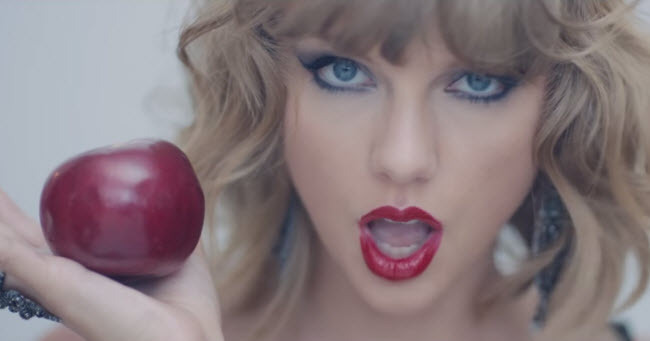 On June 21, 2015, Swift strongly condemned Apple Music and even wrote an open letter. She expressed that she would never put her hit album "1989" on Apple Music. But, things changed so quickly. 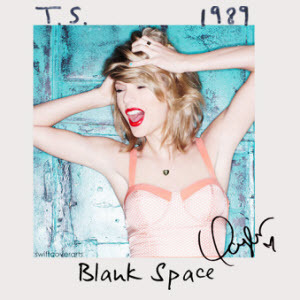 The next week, Swift decided to land "1989" on Apple Music. Then, they have made up their relationship by December 2015, when Swift decided to owner Apple with the exclusive rights to debut a documentary of her 1989 world tour. Since then, Apple Music and Taylor Swift seem to shift from foes to friends. Eventually, they work together to promote Apple Music streaming service. Taylor Swift is the most popular artist in the world. Let's now enjoy her top music to get relax. 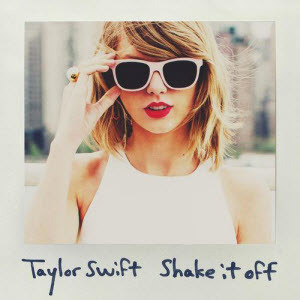 If you love Taylor Swift, you may already have downloaded those songs. 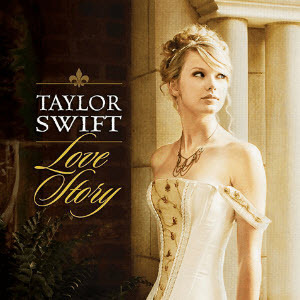 If you don't know much about Taylor Swift, those songs will let you fall in love with her. But Swift does not put her hit album on many streaming music services, like Spotify and Tidal, except for Apple Music. So, to listen to songs of Taylor Swift, you should choose Apple Music. Once you have subscribed Apple Music, you can download music for offline listening. Unluckily, all songs you downloaded from Apple Music are DRM protected, which restricts from enjoying freely. In this case, you can use NoteBurner Apple Music Converter to help you remove DRM from Apple Music, so that you can enjoy the Apple Music songs as you want.